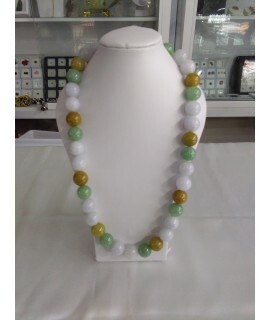 Jade Colourful Necklace is a wonderful jewelry with three different colors: white, yellow and green. 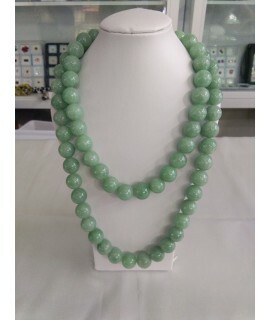 Using Jade Beaded Necklace helps to quiet the mind and body. 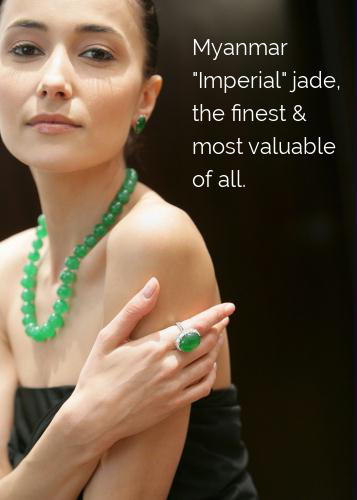 We use the first grade material of Myanmar imperial jade (A type Jadeite) for making fine quality of all Jade jewelries. 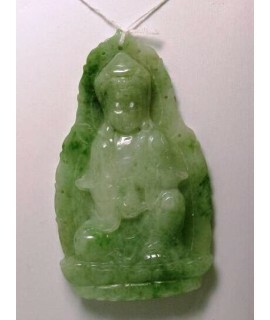 We guarantee yo..
JADE GREEN SPORT SITTING KWAN YIN - Made of authentic myanmar jade :sheen white with apple green color blended in some areas . 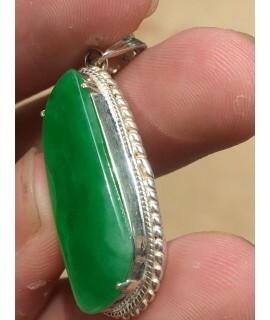 This sacred and beautiful carving is suitable for personal wear or as a sacred present to someone. Dimension ; 1.5 x 2.5 x 0.4 .. 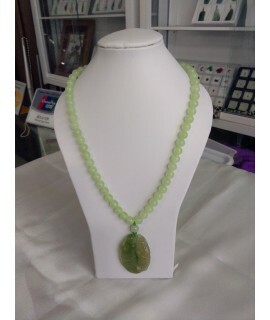 This JADE BAMBOO & MONKEY NECKLACE is professionally handmade. 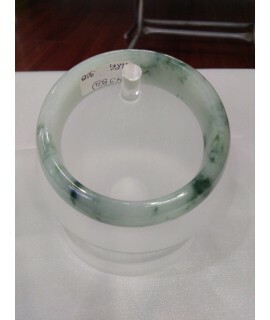 It is a unique piece of Myanmar imperial Jade the first grade material (A type Jadeite). A perfect present for any one and suitable for any occasions.We guarantee you the lowest price with the quality. Any inquiry is welcomed. .. 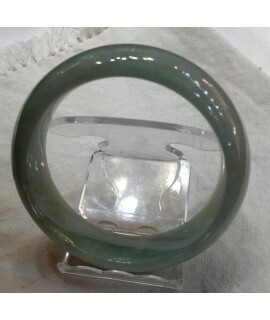 Authentic Myanmar Jade Bangle with pale white and green color. A neatly hand-made with a waxy texture. 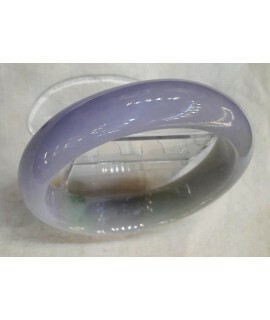 It is a unique piece of Myanmar imperial Jade; the first grade material (A type Jadeite). A perfect present for spouses or friends.We guarantee you the most reasonable price with the best quality. .. 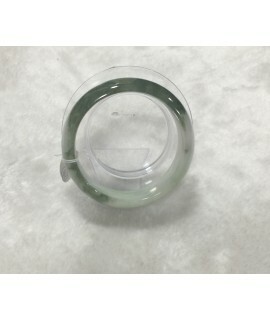 Authentic Myanmar Jade Bangle with pale white and green color. A neatly hand-made with a waxy texture. More quantity would be available with advanced order. 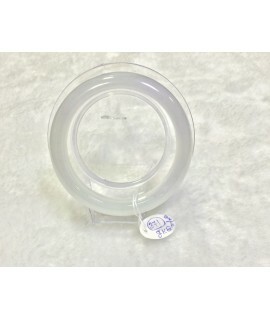 Inner diameter: 6.1cm Weight:82.8gm.. 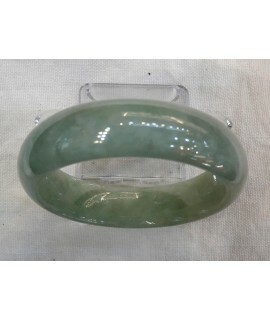 Authentic Myanmar Jade Bangle with dark green color. A neatly hand-made with a waxy texture. 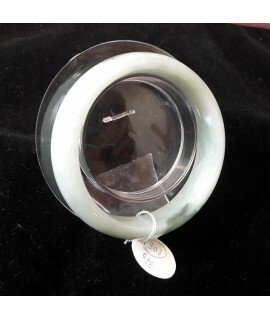 It is a unique piece of Myanmar imperial Jade; the first grade material (A type Jadeite). We guarantee you the most reasonable price with the best quality. We can do the products according to buyers requirem..